Sydney does indeed have an abundance of choice available when it comes to piping hot, fresh and quality pizza establishments, and at very good prices too in most cases. 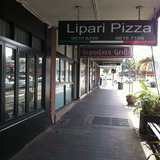 For a quality authentic Italian pizza, Lipari Pizza on Darling Street, Rozelle does not disappoint. It was a pity that this establishment had to move further up Darling Street as the Leagues Club was planning a major development which was passed through by council; it was better at the old locale as they had more space, and they prepared the pizzas for neighbouring La Bettola, which sadly has now closed down as a result. Their new space feels crampy, so it is better to pick up, take away and ensure it gets to the family home (in my case) still piping hot. Delicious flavours and generous topping serves. Monday nights are so fantastic at Blackbird Cafe as pizzas (selected items) can be purchased for only $7 to $12 a pop on a well presented board. Their supreme is just full of flavour, and their olives and meat pack some punch. The service is outstanding; the staff get to know you quite quickly when you when you frequent the establishment. There has to be a restaurant in the Italian Forum in Norton Street to make this list, and that has to be Caesar's. You feel so full after eating here, but thankfully not so bloated. Their margarita pizza really packs some punch and flavour. YoIf you are in the mood for the cheesiest pizza you will be in heaven, literally. Also il Casale in Balmain is quite similar in their approach, and a high quality pizzeria where fun is to be enjoyed. A place in Balmain where Jerry Seinfeld actually ordered his pizza while he was performing in Sydney came to Zesti's in Balmain. Not bad pizza; their meat is the winner and with fast and friendly customer service it has stood the test of time. A great pizza to share with friends or family in one of Balamin's nearby parks. For quality pub pizza, The Ship Inn at Circular Quay fills the spot with a relaxed hang out environment, and last but not least Eastbank at Circular Quay also provides quality pizzas that aren't too heavy on the stomach, and the green stuff is just fantastic. It is a shame there was a payment issue with my credit card which made the experience frustrating; a pity because their pizza is fresh and with great harbour views to match.